I am so over February - how does the shortest month always feel the longest??? 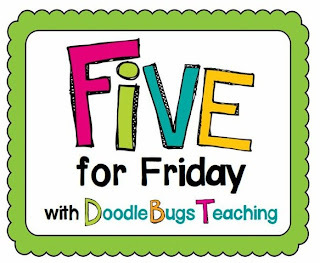 I am linking up with Doodle Bugs Teaching and Teaching Maddeness for their linky parties - click on the pics to head their way for more weekly wrap-ups. Here are 5 things from this looong short-work week! 1.Yahoo to finishing up multiplication and division. I love finishing up a unit - only to move on to the next unit and have the kids keep trying to use what they learned in the last unit to solve problems and do inquiry activities - even when it does not apply! 2. Double yahoo for finally signing up for Adventure to Fitness. I have seen people blogging about this program for a long time and then I finally checked it out. The class loves it (just like all those people said their kids did - go figure). 3. Last of the winter art - I can't do one more activity that involves snowman, snowflakes or snowballs - bring on the spring art. Here is our last activity - I was inspired by Amber at The Teacher Life's post about her snowman at night art (you must check it out - they are awesome) and she gave directions (which we did not follow very well (we had to rush through the activity too much work to finish up from these short weeks!!). 4. 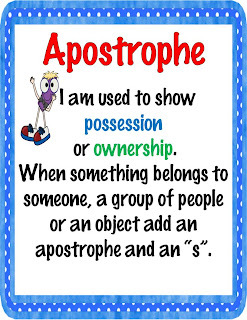 Having the students do a suffix search and hearing the question "Does an s count if it comes after an apostrophe?" 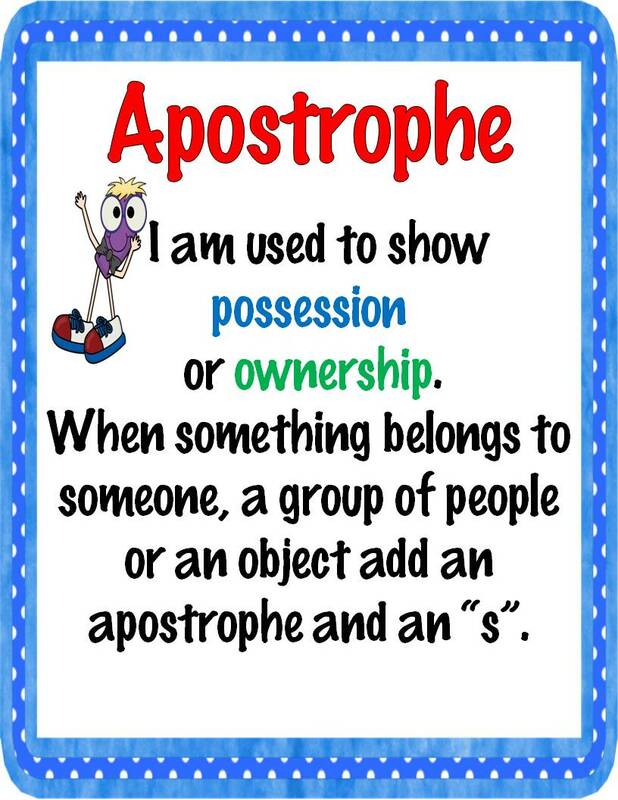 After I picked myself up off the floor I realized that once we wrap up our prefix and suffix unit we will be moving on to the dreaded apostrophe - why do I dread it - because once I teach the apostrophe it starts to pop up every where - especially in plurals. 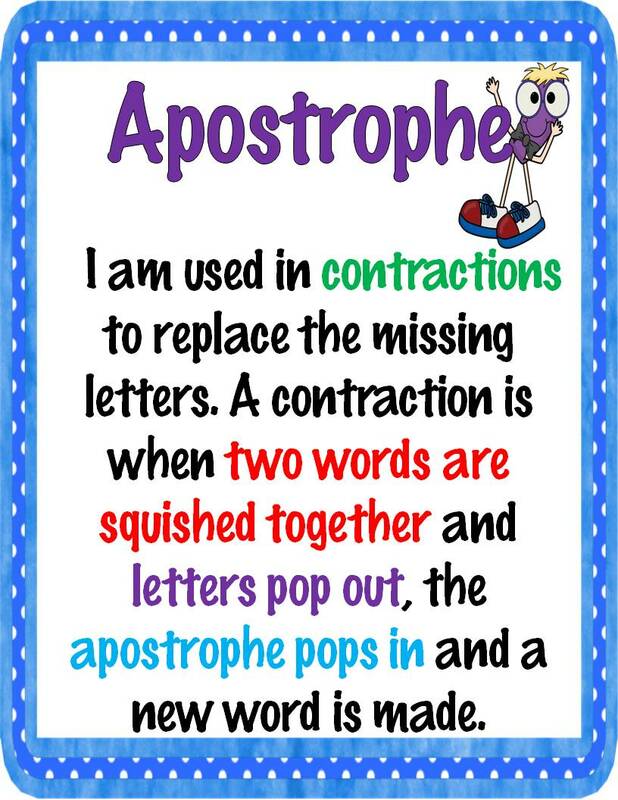 I updated my punctuation poster and made a quick little activity to work on using the apostrophe. Click here to pick up a copy. 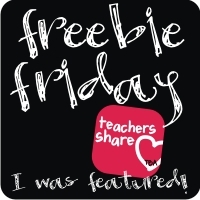 Check out more classroom freebies. 5. I'm almost finished my graphing posters and activity unit. Here is where the favor comes in. I would love a couple of people to look over the unit and help me edit and make suggestions - I have been staring at it for too long. If you have some time this weekend and would be willing to help me out please leave a comment with your email address and I will zip it over to you. Thanks! I hear you about being ready for March. This winter weather has got to go. Bring on the sun. I would love to help you look over your work. I would love to help edit it for you! Thanks so much for offering to help, I am sending you an email! I just found your blog via Doodle Bugs. 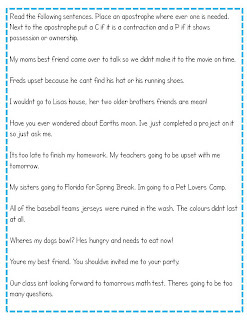 I LOVE your blog design, the colors are wonderful! Happy to help you look it over. I am so over it too! I wanted to take down the hearts and Presidents today, but I figured it'd be bad since it's Washington's bday today (I think). Wow, what a busy week. 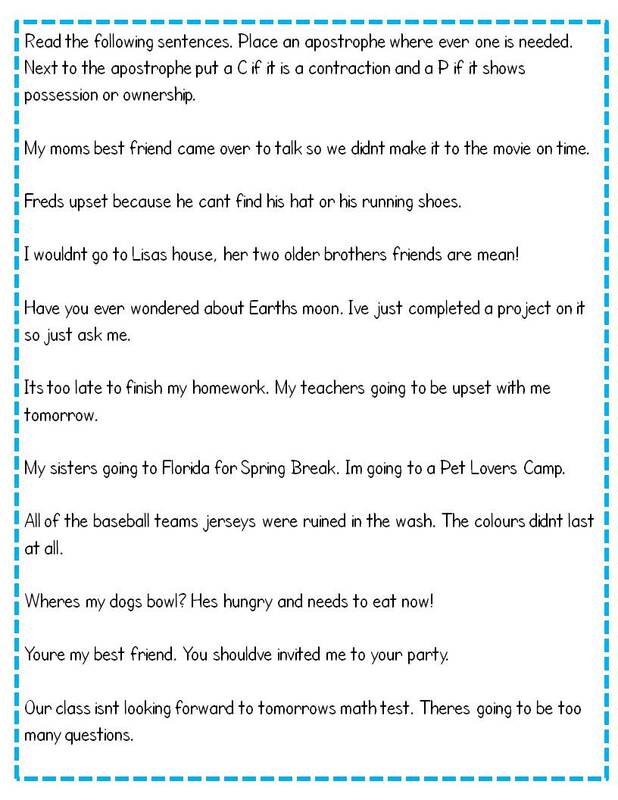 I can relate to everything you posted! February is a busy month for our family with birthdays and events, which makes for a LONG month. 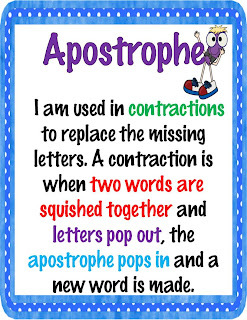 Love you apostrophe posters!